Try Shirlee’s for FREE! If you want to get fit and are looking for a gym to call home, we invite you to try out Shirlee’s Ultimate Women’s Gym in Upland for one day for no charge. Have full access to all our two ares of fitness facilities plus our full schedule of classes. We are confident you will find our gym to be the best in the Inland Valley. If you decide to join after the trial, we will cut the enrollment fee to $0. Save $159! This limited-time offer is for new members who like our Facebook page and must be completed in April. Restrictions apply. Mother’s Day Special: Looking for the best gift for mom? Shirlee’s Gym is offering a $99 Mother’s Day Gym special that will give her one month of membership plus a half-hour massage. We have gift certificates and brochures to make giving easy. Please call (909) 985-6400 or stop by the club to talk to a manager for details on these and other membership options and to pick up your pass. Our 1-day FREE pass and $0 Enrollment special ends 4/30/2018. Don’t miss this opportunity to check out the best gym in the Inland Valley offering top amenities and a supportive atmosphere exclusively for women. Annual maintenance fee of $24 applies on some memberships. Please call for details on memberships, personal training, and massage and for more information about special discounts and our free pass offer. Take the first step to a better life. 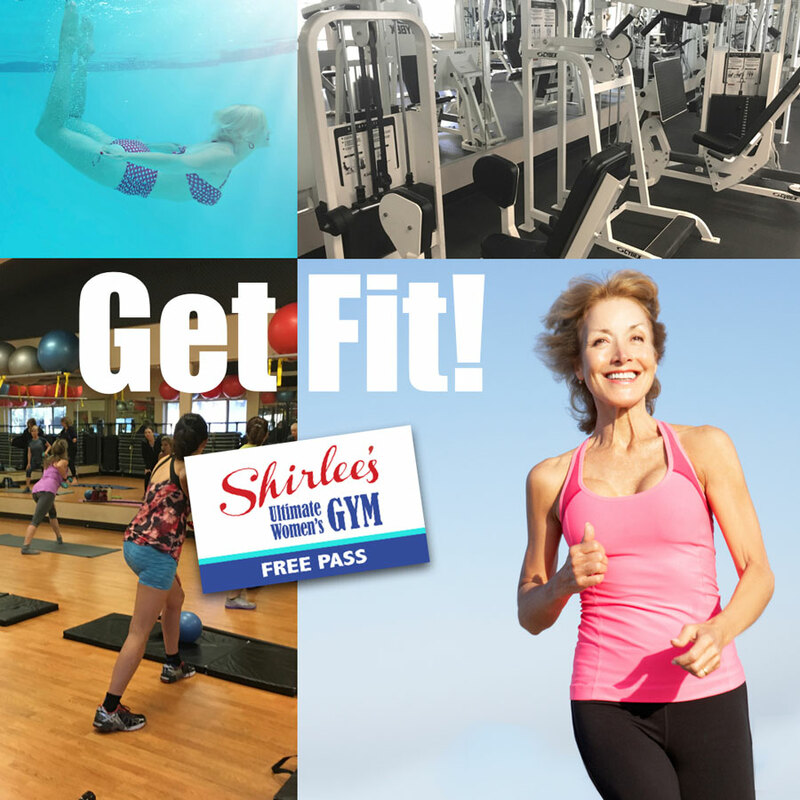 Stop by Shirlee’s Gym, take a tour, and pick up your free pass today.